I’ve been keeping half an eye on Mum’s flight all day. Not that I’m excited or anything. 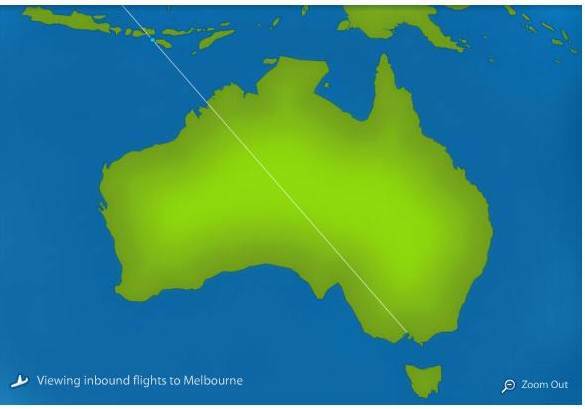 I’ve just found this page on the Melbourne airport website, that little blue blob? That’s her flight!